The Canary Islands are located in the Atlantic Ocean, close to the western coast of Africa, and belongs to Spain. All of them – volcanic origin. Total major inhabited islands – seven. There are small, usually uninhabited. Big Island, you can find: the first and most famous among the tourists – Tenerife (2057 km2), then Fuerteventura (1730 km2), followed by Gran Canaria (1532 km2), Lanzarote (795 km2), Palma (708 km2), Homer (378 km2 ) and finally – Hierro (277km2). From small islands just Graciosa (27 km2) population and may cause some concern. All the volcanic island, the climate and the nature of the north and south of the islands is different. The winds, the trade winds blow from the north, there is cooler, greener. On all the islands at different times of year, air and water temperature varies greatly. Water temperature in the range 16-22 degrees, air – between 10 to 25 degrees Celsius during the cold season and in the range of 20 to 40 degrees – summer. If you someone says that the temperature in the Canary Islands all year round is the same – 25 degrees – and about the same temperature of the ocean, do not believe it does not happen. But of the seven islands of “the eternal spring” everyone can choose a suitable option. The climate and the tourism industry on each island its own. The most similar to each other and resorts Tenerife island of Gran Canaria, has long competing for the title of the main island of the archipelago. Now the Canaries even capitals of two – one in Tenerife (Santa Cruz de Tenerife), the second – in Gran Canaria (Las Palmas). Moreover, in the second population is almost twice that of the first. What makes thousands of Europeans fleeing the continental winter, to seek safe haven in the resorts Canaria? 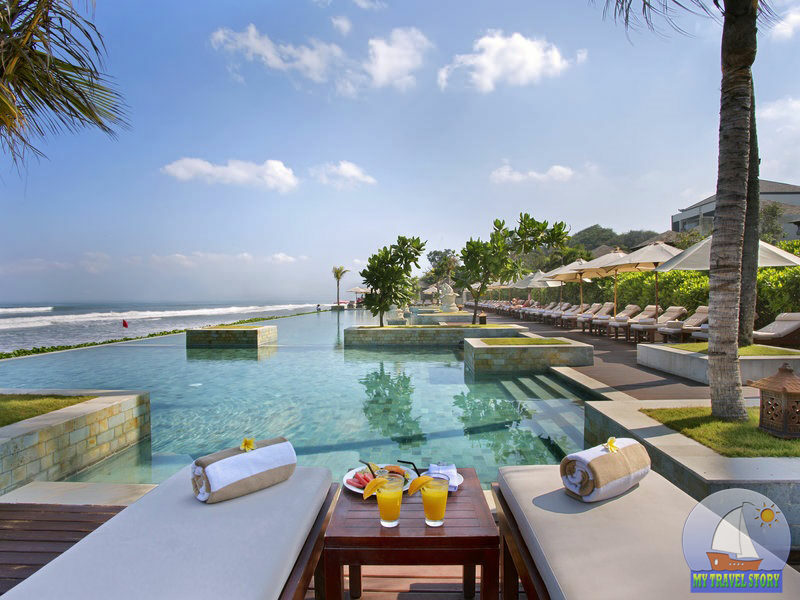 The mild climate, close fly, ocean exotic, clean environment, European service, low prices, a lot of hotels, restaurants, shops. And yet – a lot of opportunities for outdoor activities. 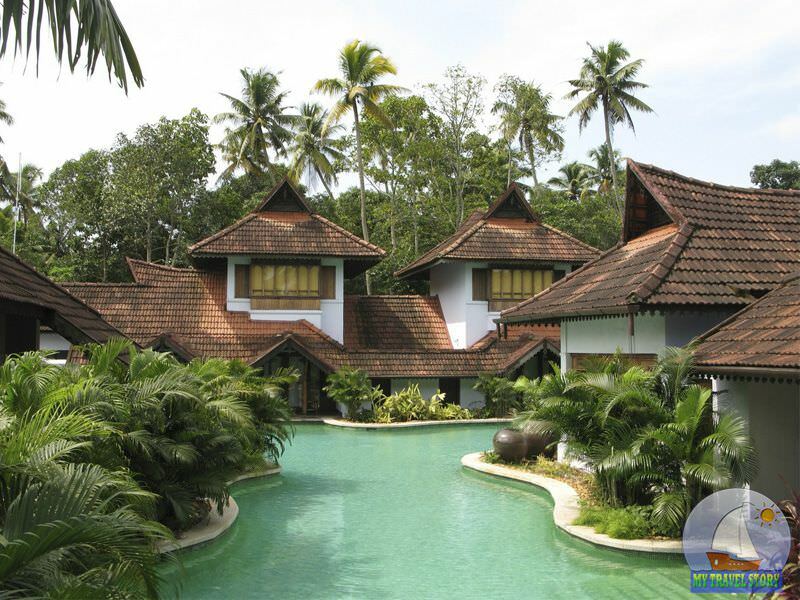 You can restrict a tan, swim and small forays to nearby restaurants and beauty. And you can go to the mountains in the other trips (including – multi-day), go on a boat ride and to learn one of the dozens of varieties of water sports. And wine and gastronomic programs, tours for amateurs and professionals, biologists, ornithologists, archaeologists, paleontologists, geologists and volcanologists. 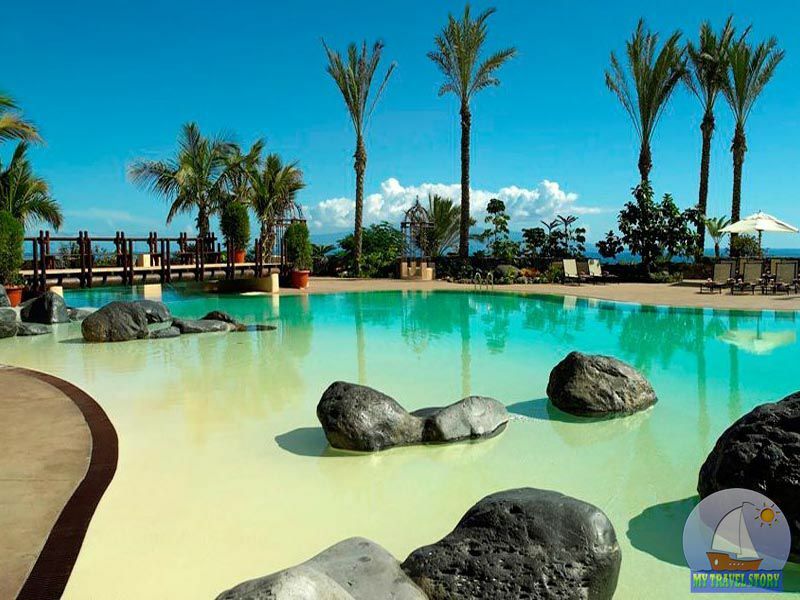 The biggest and most popular tourist resort island of Tenerife. Green in the north and rocky and arid in the south. Variants of the settlement – a lot of entertainment and attractions – too. The volcano Teide, small plantations of bananas, “Loro Parque” with all kinds of animals, birds, penguins and shows with marine mammals, national park “Las Canada” ethnographic park “Pyramids of Guimar”, museums and shops, discos and clubs. And yet – the annual carnival, which lasts from late February to mid-March. In winter, the snow is white tops of the mountains and on the coast you can swim. The island is divided ridge, on either side of which at different altitudes landscapes and vegetation change dramatically. The roads are good, you can rent a car and travel to. Or settle first in the south, then – in the north. Or vice versa. Given the size of Tenerife, and it is not for the whole month to travel. The beaches in the northern part of the island there, but they are few. 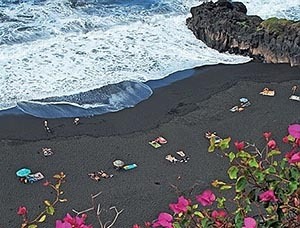 It was here that are located entirely black volcanic sand beaches. In the south, the beaches better, there are more like hotels. The island of Gran Canaria resort also popular among tourists. 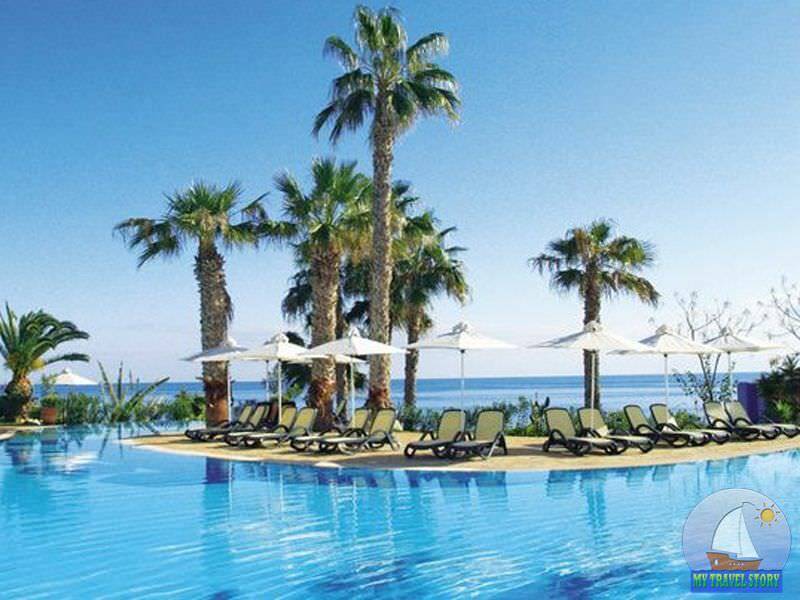 In general, it is very similar to the resort of Tenerife. The same ridge divides it into two parts and two climatic zones. Well-developed tourist infrastructure. Many hotels, restaurants and shops. There are water parks, casinos and discos. The beaches here are somewhat better and wider than on the island of Tenerife resort and nightlife, such as Playa Ingles, it is considered the most active of all the Canary Islands. There is no such a volcano as Mount Teide, but have their own feature – the dunes. 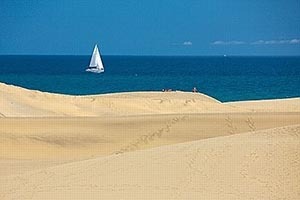 Dunes – decoration of Gran Canaria. Absolutely cosmic landscapes with dunes. Sometimes right at the apartments. On Gran Canaria lives more than half of the indigenous population of the Canaries. And its capital, Las Palmas – a huge metropolis with port. It is believed that the resorts in Fuerteventura and Lanzarote travel those seeking peace and quiet privacy surrounded by nature. Fuerteventura – a luxurious mile beach of pale sand (which is of volcanic islands – a rarity). This island resort could compete – Tenerife and Gran Canaria, if not for the constant winds. But the wind has its advantages – on Fuerteventura the best of all the Canary Islands windsurfing conditions, there is not yet a tourist boom occurred, and the island escaped the rampant construction of hotels. leisure industry is not very developed, and as it gets dark, people tend to go to bed. Excursions special either. Vegetation, thanks to the Spaniards, – too. Once they have cut down the forest luxury on this island, and since then the island resort of Fuerteventura covered paradise forests turned into a stony semi-desert islands with palm groves. 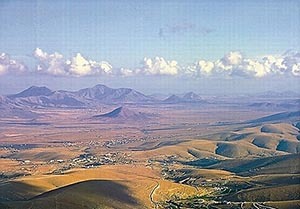 Lanzarote is also a quiet island. Due to its amazing volcanic landscapes, underground caves island considered a Biosphere Reserve. Island Resort Lanzarote is very kind, numerous volcanic eruptions have turned the once fertile land in the vast field of lava. And the islanders have found a use for them – on the volcanic sand they grow grapes. Local people still live in traditional houses, especially no sovremenennoy architecture is not here. Dozens of volcanic craters lie dormant on the island. Their hot breath – a kind attraction. The National Park “Timanfaya” tourists are treated volcanic grill – the ground at a depth of not more than a meter to several hundred degrees-hot. Over such a natural source of heat can be easily prepared, and fish meat. La Palma island quite different than Lanzarote and Fuerteventura. Palma – is the planet Pandora from the movie “Avatar.” There is a dense and humid forests covered with mist and mountains. The resort Palme highest among all of the Canary Islands rainfall and high humidity. Since this is not conducive to a beach holiday, then there are few tourists. If you want to eat delicious fruits and vegetables, go to the primeval wild forest in the campaign for a few days or a complex route for a whole week, and then smoke a fragrant cigar – you on the Palm. Among the various crops growing on the island, there is tobacco. Cigars of high enough quality, twist them here too. The last eruption was in Palma recently – in 1971. The small island of La Gomera is just thirty kilometers from Tenerife, and may interest those who love nature, peace and quiet. On Gomera in the Canary Islands remained the largest ancient forest. Most of the tourists on the island – those who come for a tour by ferry from Tenerife. Homer can live, there are hotels and apartments. True, entertainment – no. Entertain yourself. For example, take part in the preparation or consumption of local palm honey. Do it like this: on a branch Canary Island date palm incision is made, it follows from the sweet juice at night. That juice is collected and heated on the fire until thick and receive palm honey. When Columbus had not discovered America, the island of El Hierro was considered the edge of the earth. In many ways it was the way and was a hundred years ago. On this small island, there is no production, transport is bad, the inhabitants a little like a small village. They fish, sit in bars, idly gossiping. Because only signs of civilization are electricity, running water, two restaurants and a shop. But the nature of the island, too, remained untouched – on land and in the ocean. 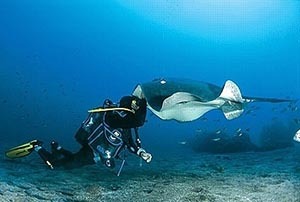 Diving here is considered the best in the Canary Islands. Canary Islands - nature, climate, temperature, attractions, entertainment and leisure. Description of the seven main islands of the Canaries.